Buy this and your school gets £1.80 to spend on books Orders of £10 or more will earn 25% of your order value back in Scholastic Rewards for your school. Are you interested in activism and how people’s actions in the past can shape the present? Or do you want to know more about black history? Then read on! This inspiring book contains the powerful biographies of key black people who have fought against racism. There’s Martin Luther King, who battled segregation in America’s Deep South. Plus Rosa Parks, who was arrested just for not giving up her seat on a bus. (A seemingly small action which, believe it or not, changed the future.) 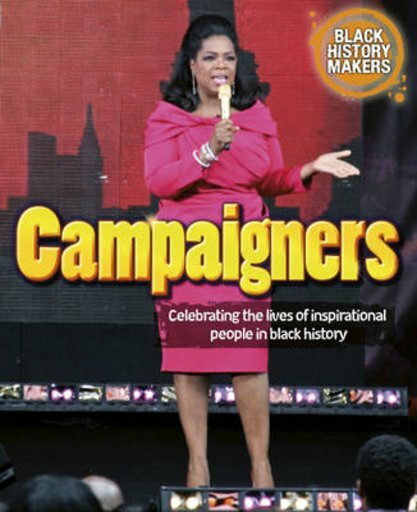 You’ll also find out about the lives of more recent campaigners, such as Oprah Winfrey.